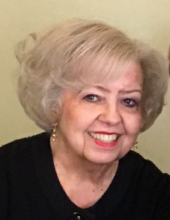 Louise Voshel, 78, of Marietta, Ohio, passed away peacefully on Saturday, April 6, 2019, at Marietta Memorial Hospital surrounded by loving family and friends. She was born on April 7, 1940 in Bristol, WV to the late Harold and Vesta Furner. She moved to Marietta at a young age where she met her sweetheart and soulmate at the age of 13 at the Marietta Roller Rink, James William Voshel, Jr. They were married on July 7, 1961 in Washington, DC. In 1979 Louise began her real estate career as a full time, dedicated professional Realtor helping homes find families and families find homes. Louise provided efficient, courteous and thorough service to buyers and sellers alike. She was a member of the Marietta-Parkersburg Board of Realtors and the National Association of Realtors. Louise has been one of the area’s top real estate producers in the Mid Ohio Valley and has been honored throughout her career as a recipient of the Ohio Association of Realtors Award for several years including the prestigious Award of Distinction and Pinnacle of Performance Awards. Louise loved real estate and was very passionate about it. She was preceded in death by her parents, 5 brothers and 2 sisters. She is survived by her husband, James William (Bill) Voshel, Jr., daughter Jamiann Voshel, favorite son in law Rob Henthorn, sisters, Barbara Jackson (Harry) and Elberta Bailey (Kenny), brother Harold Furner (Stephanie), special nieces & nephews, Sherry Olnhausen (Bob), Cynthia Tetrick (Rusty), Crystal Davisson(Chuck), George Furner, Larry Myers, and special great nieces, Alaina Schrader (Josh), Ali Olnhausen, Nicole Olnhausen, Madison Davisson, Emma Davisson, and many more. She is also survived by many other special friends that have become like family. Family will greet friends on Thursday, April 11th, 2019 from 6-8 pm at Hadley Funeral Home Reno Chapel, 1021 Pike St., Marietta, OH and again on Friday, April 12th from 12 PM until the funeral service begins at 1 PM. To send flowers or a remembrance gift to the family of Louise L. Voshel, please visit our Tribute Store. "Email Address" would like to share the life celebration of Louise L. Voshel. Click on the "link" to go to share a favorite memory or leave a condolence message for the family.